Please take a look at our brand new review for Wealth Without Stocks or Mutual Funds that a reader posted on Amazon. If the book impressed a man who was at the top levels of a major Wall Street firm, then don’t you think you should pick up a copy and devour the information? This is not your standard financial or business book. The reader is shown real ways to grow and protect money by saving, investing (in little known yet powerful vehicles), and using small business strategies to make your business more profitable or launch your dream business and make money right away instead of waiting two years. His endorsement is reprinted word for word below and can also be seen at the order page on Amazon. You will also see an endorsement from Jack Canfield who is a multi millionaire many times over and the author of the Chicken Soup for the Soul® series. This is right at the top of the cover! 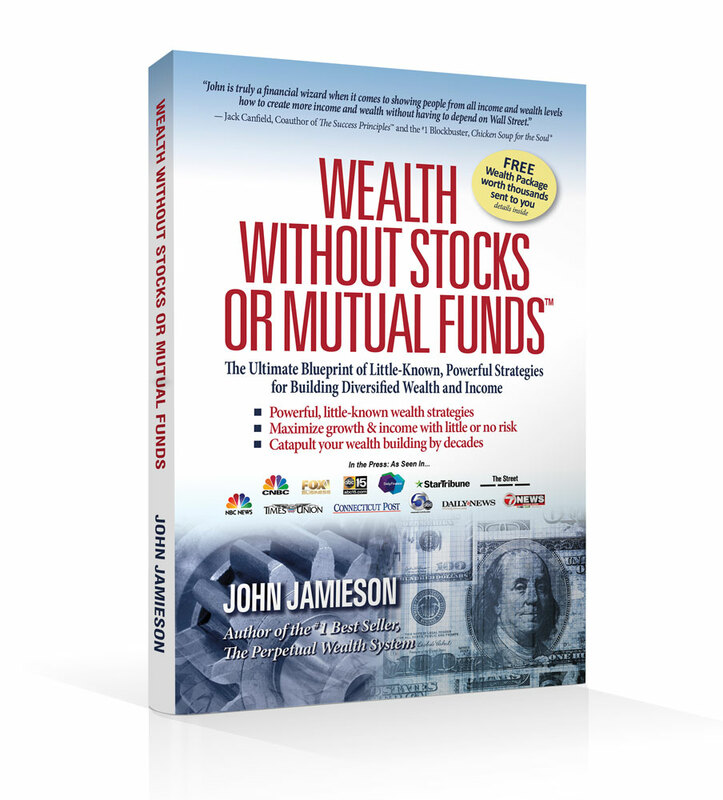 Click www.wealthwithoutstocks.com, order your book and receive a special limited time FREE Bonus valued at $995.00 just for investing in my book. Thanks and get started now. Wealth Without Stocks or Mutual Funds Launches Monday! Well, if you have not heard yet my new book launches on Monday, Dec. 7th. I am so excited to have this book available to everyone as there is great information inside. Want to know more about “Wealth Without Stocks or Mutual Funds“? We have some pre-launch videos talking about the book that you can view here. Also, the website is just chocked full of information; each chapter is discussed so you have an idea of what is covered, resources for you to tap into, additional training, and so much more! And the best thing… there is a special bonus for those who purchase the book (Paperback or Kindle) from Amazon.com during our Launch Promotion. I will share the link to that Special Bonus on Monday. We look forward to hearing from you! All of us at Perpetual Wealth Systems is ready to provide you will any follow up support needed to actually implement the strategies and information in the book to help you and your family.